Protecting the financial viability of a company is a heavy undertaking. As a trusted advisor to the business as an entity as well as your colleagues, you are expected to use your expertise to determine best practices to keep everyone’s profits and retirement plan savings afloat. It is important that you use a disciplined process to help manage your fiduciary responsibility. Join us for a complimentary webinar on Wednesday September 19th at 11am PDT / 2pm EDT featuring Devyn Duex, Vice President of Client Relations for Pensionmark Retirement Group. This webinar will cover a series of new and important information regarding your role as a fiduciary. -- Plan Governance - what is it and why you should care. -- Fee Disclosure is here, now what? Understanding and determining reasonableness. 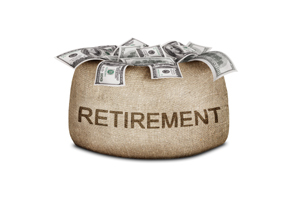 -- Are your participants Retirement Ready? -- 401K, IRS and Department of Labor (DOL) audit planning. Devyn Duex (MBA, AIF, CRPS) is the Vice President of Client Relations for Pensionmark Retirement Group. She has been recognized as one of the nation's most influential retirement plan advisors by 401kWire (2009, 2010), and most recently recognized as one of the Top Women in Business in 2012 for the Tri-Counties by Pacific Coast Business Times. This educational event is co-hosted by Pensionmark Retirement Group, a nationally recognized firm specializing in Retirement Plan solutions and SecureDocs, provider of a secure virtual data room for storing and sharing financial documents. This Group Internet Based event is equal to 1.0 CPE credit for all participants toward Administrative Practices. There are no advanced preparations or prerequisites necessary to attend this event. This program’s level is basic.